Eleven is nowhere to be seen. 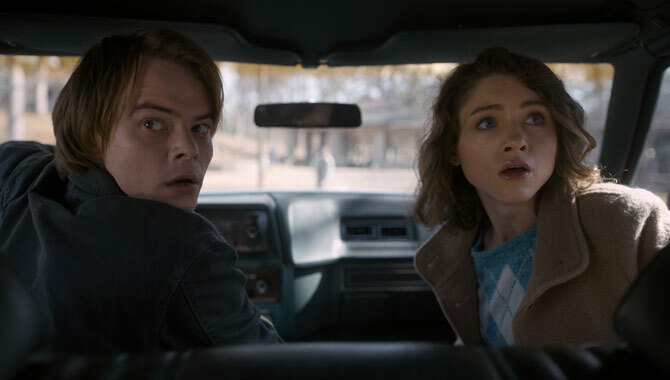 New teasers for season 2 of 'Stranger Things' have arrived in the form of five first-look stills from the series featuring all your favourite characters with one notable exception. The Dungeons & Dragons playing foursome is back together, and Nancy and Jonathan are still bosom friends. So where is Eleven? It looks like the producers of the 80s-style sci-fi show is trying to keep the fate of Millie Bobby Brown's star character a mystery as much as possible, despite it already being known that she will in fact be making a return. Meanwhile, we can see what the other kids are up to a year on from their battle with the demogorgon. They're dressed in Ghostbuster costumes, basically. 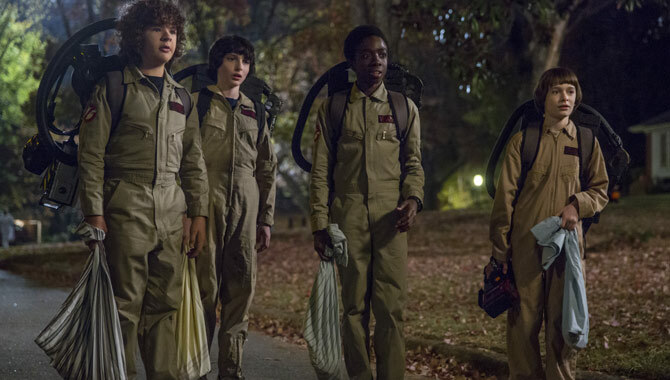 It's Halloween and 1984, which means that movie has been the talk of the year - especially for Mike (Finn Wolfhard), Dustin (Gaten Matarazzo), Lucas (Caleb McLaughlin) and Will (Noah Schnapp) who can no doubt connect to Bill Murray and company on a pretty deep level. Also we see that Will is still looking extremely tormented after being held hostage in the Upside Down for weeks. He's safe and sound back home for now - though just how long that will last is a mystery. We saw in the final episode of season 1 that he was puking up live slugs, though creators Matt and Ross Duffer have recently suggested that that might not necessarily be all it seems. 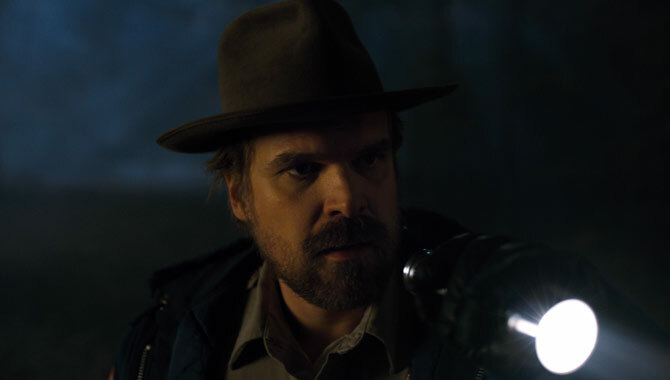 What has Hopper discovered this time? 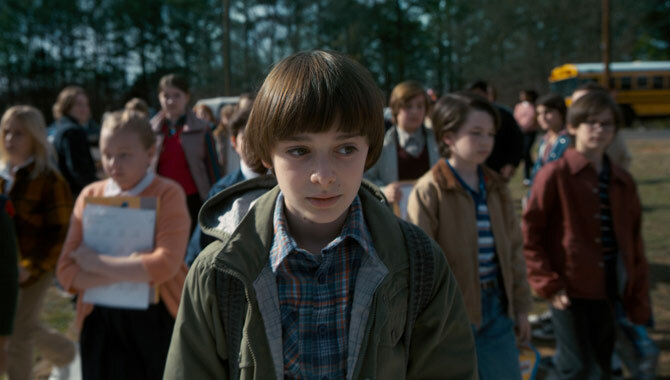 Given how Will's brother Jonathan, his mom Joyce, Mike's sister Nancy and cop Jim Hopper are also looking disturbed in the new images, we're guessing Will's not the only one with PTSD. Either that or a new monster has crossed to this world to hunt them down once again. Dustin and Will meet Max! But what's got Joyce worked up? Lastly, we get out first look at a new character called Max (Sadie Sink), who appears to be joining the friendship circle. She'll be joined by her older brother Billy (Dacre Montgomery), who is an apparently less than friendly addition to the story. 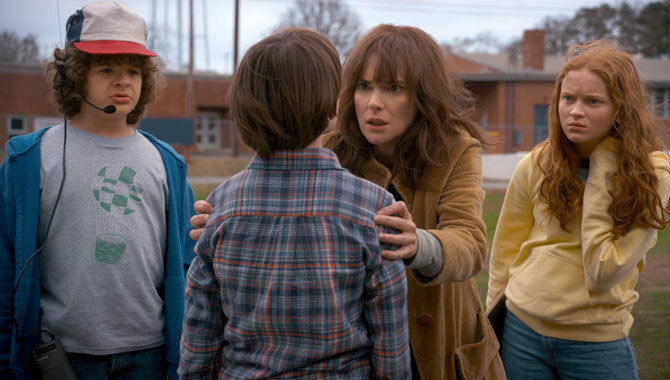 'Stranger Things' season 2 airs on Netflix on Halloween 2017.